Home » » Solve my vision problems! Dr. Chynn and was the doctor to solve my vision problems! I can’t be more grateful. 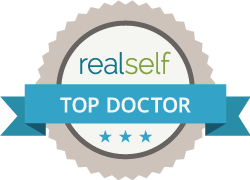 I have searched for YEARS to find a doctor who could address my vision concerns. While my prescription wasn’t terrible, I had some abnormalities that other doctors were uncomfortable addressing. RK and Lasik were not good solutions for me, but LASEK solved my problems. Dr. Chynn is incredibly knowledgeable and friendly, very professional, and wants nothing by the best results for his patients. He has taken the time and effort to address every facet of your procedure and constantly looks to further refine what is already a good solution for laser correction eye surgery. The surgery was painless, recovery has been smooth, and I couldn’t be happier that I can wake up every day and see without having to fumble around for my glasses that I can’t seem find. I can wear sunglasses without having to get them at the eye doctor. I can wear normal safety glasses when I’m working on things when I need eye protection. I can go diving without having to accommodate prescription glasses. I can drive day or night, no lens flare during night driving. I CAN SEE for the first time in 40 years, unaided.